An Army / Military Style Security Pullover from Blue Castle with Elbow & Shoulder Patches. 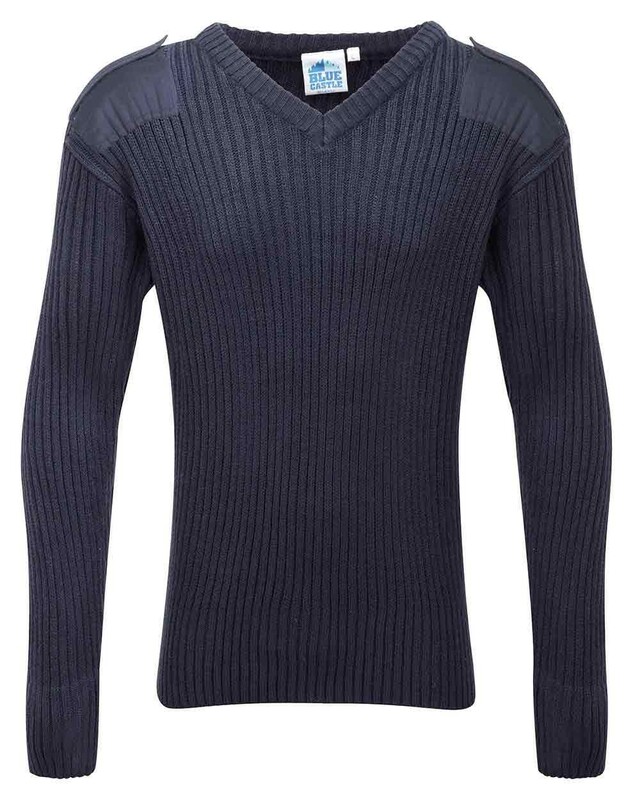 The Blue Castle V-Neck Combat Jumper; is constructed from 100% Acrylic. 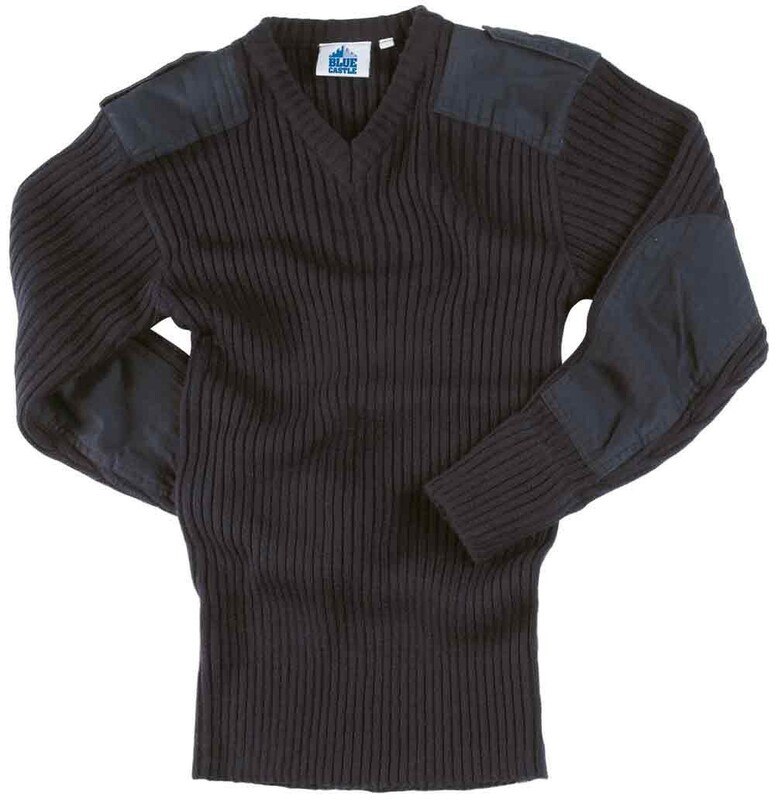 This Security Sweater features Velcro on the shoulders which is perfect for adding badges etcetera. 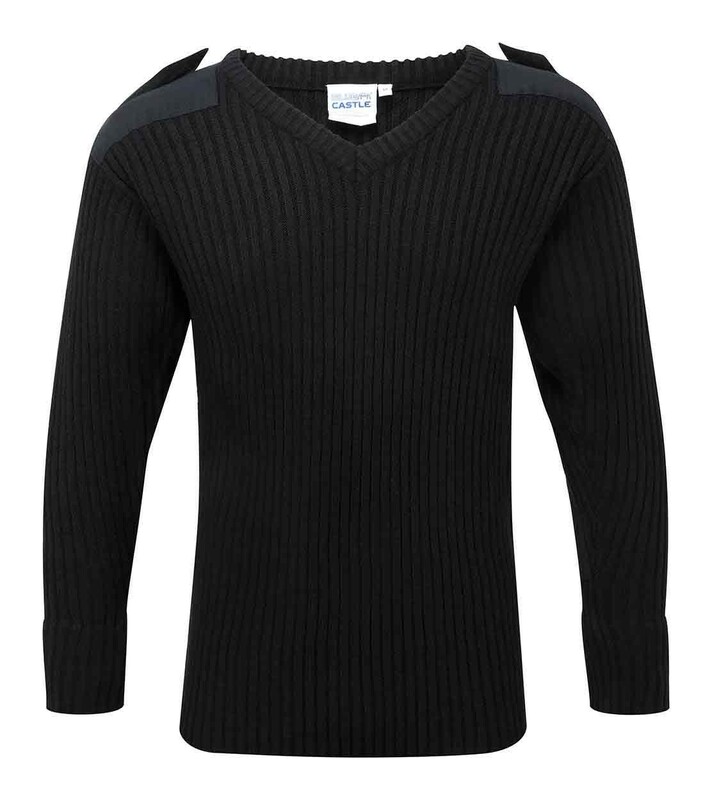 With its elbow & shoulder patches added for reinforcement, this jumper radiates a look of authority & tradition.